Odisha, is one of the poorest states of India. It is not well visited by foreign travelers and is home to most of India’s tribal Adavasi people. The state lacks adequate infrastructure outside of its few cities. The harsh monsoons and cyclone seasons make life in remote villages challenging. When CITTA registered The Michael A. Daube Charitable Trust in Odisha, India in 1997, there were no roads or electricity in the villages. The first order of business was to build a much-needed hospital in Juanga village, and this was completed on April 2, 1997. The hospital has been growing in capacity ever since! At the start of the project there were over 1,000 patients each month. There had been no previous medical care in the village, and the health issues the locals faced were neglected. As of 2012, we provide care for 25-30 patients daily and treat up to 8,000 patients annually. The education and services we provide have helped reduce the number of those in need of emergency care. We have 22 staff members (including three general medicine physicians and three visiting surgeons performing gynecology, dentistry and general surgery.) 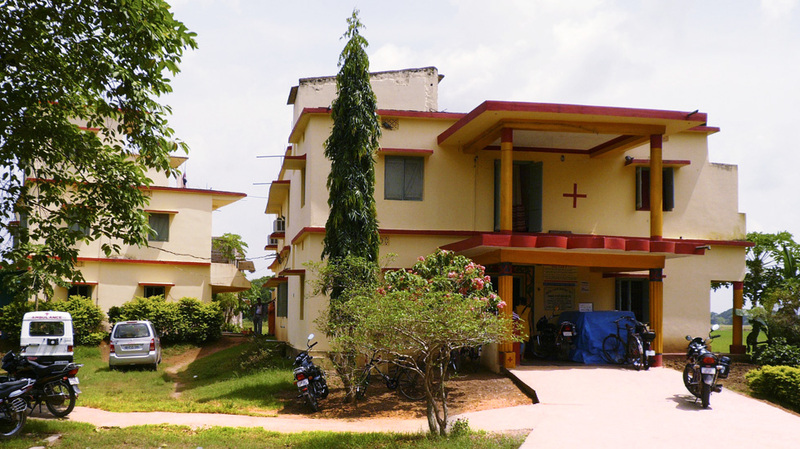 During the monsoon months (June-September), extreme heat, rain and lack of sanitation bring many cases of dysentery and fever to the hospital. Special thanks to all the great support each person brings! Over the year, generous donations have enabled us to provide better care to the approximately 120,000 local residents. In 1998, with the support of Sharon and Marie Keegan from the UK, we received a grant to add an operating room. This facility is the only one of its kind in the region. And through the generous donations and continued support of The Leir Foundation, we have been able to construct and run the Henry J. and Erna D. Leir Women’s Center. The state of Odisha has the highest infant and maternal mortality rates within India. We are now able to provide safe deliveries at our center as well as education on pre- and post-natal healthcare, hygiene, and nutrition for the families. In 2008, medical student Ari Kreigsman volunteered in Juanga and saw the need for sanitation to reduce the high levels of dysentery, hepatitis A, and typhoid plaguing the region. Through fundraising with family and friends, he was able to construct a toilet complex to help educate the locals on the importance of sanitary hygiene as none of the village homes have a toilet. The villagers are not only using this community toilet complex now, but they are also keeping it well maintained. In 2006, medical student Nick Bernthal volunteered at the hospital and became very familiar with all of the issues facing the region. Nick returned to the US to start the now amazing organization Drops Fill Buckets. After Bernthal saw how difficult it was to entice qualified medical staff to stay in a jungle region, the first project that Drops Fill Buckets undertook was to build Citta an amazing two-story staff-quarters complex. Considered family to the hospital and staff, Marta Miquel Faig is an emergency doctor working from an ambulance in Barcelona. When she has time off, she visits the Juanga hospital and provides tremendous care for the communities during her visits! She has organized the Badia School in Spain to link with our students in Juanga, organized equipment and donations for the hospital, and has spent many hours sharing ideas and building better, more efficient working structures for the hospital staff. She has run numerous educational programs in the local villages and schools, helping them understand better ways to deal with trauma in the most effective and expedited way and showing them how to safely bring patients to the hospital for care. She has brought colleagues with skills to run eye camps (carrying suitcases full of glasses as excess luggage) and other health related programs. Now Marta says she would like to visit our hospital in the Himalayas! In October 2011, Columbia University Business School’s Pangea Advisors (www.pangeaadvisors.org) assisted CITTA by helping us assess the region in which we operate and find ways to increase support from the local communities. We are presently starting a community based membership program for 20 Rs. /month (50 cents) that would allow coverage for up to seven family members for medical care in the event of an emergency. Even though we provide medical care at a highly reduced rate, families are burdened by any sudden amount they are required to pay. This program will give them the peace of mind for their family’s future and financial stability.